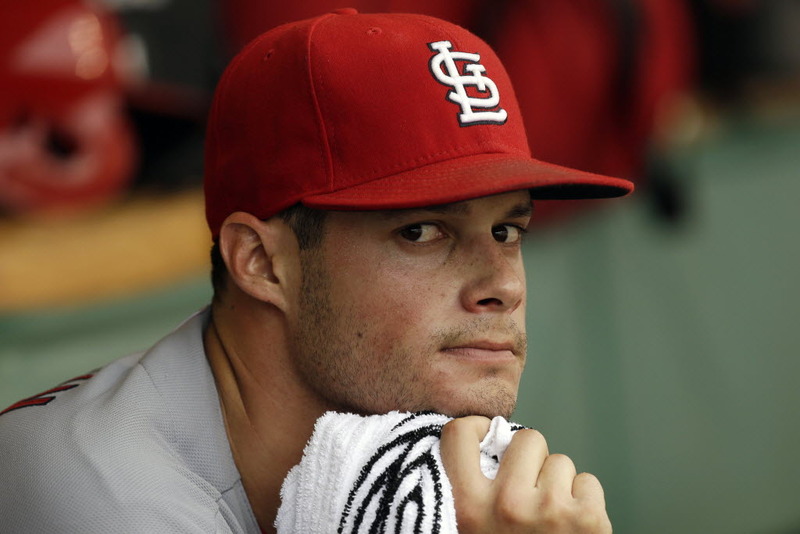 Is It Really A Surprise Joe Kelly Will Be Starting? Following yesterday’s game, the St. Louis Cardinals announced that Joe Kelly will be the joining the starting rotation and Carlos Martinez will reprise last fall’s role as the eighth inning setup guy. Are you really surprised at this announcement? Honestly? It is what I expected all along when a competition for the fifth starter slot was announced this spring, for the second consecutive year. Because the “results” of this competition certainly seem based more on last year than anything that’s happened this spring. As you likely know, Martinez has been brilliant in March: 1.76 ERA in four starts and 15 1/3 innings pitched, nine strikeouts, eight hits allowed. Kelly has not quite had the same results, allowing 10 earned runs in 14 1/3 innings during his four starts including two yesterday after not allowing a hit for five innings. Last year, however, was a different story. Kelly was 9-3 in 15 starts with a 2.28 ERA once he joined the rotation, compared to his 1-2 record and 3.68 ERA when he was in the bullpen. And while the overall numbers for Martinez — record of 1-2, ERA of 5.08 — are not necessarily impressive, we all remember just how great he was in September and October. Matheny said the club needed the 22-year-old Martinez in the setup role he filled so well in the postseason last year. “I’m not saying that’s going to be the end of where he’ll always be,” said Matheny. “I believe he’s going to be a starter and I believe he’s going to be a very good one. “But right now, we need him to help our club out of the bullpen. Yes, “right now” is when Martinez is needed in the eighth inning — until Jason Motte recovers from Tommy John surgery and is able to rejoin the bullpen again. Rewarding Kelly for his work last year also seems a very Matheny-like thing to do — a sign of loyalty, a reward for the role he played, a way to recognize his contribution. Sure, that’s not necessarily what you or I would do if we were the manager or how we’d like to see things done, but it makes absolute sense … which is also why it was so predictable. And it’s also likely that having Martinez only pitch an inning or so per game to start the season could be a good thing. Remember last October and the disappearing act that was Shelby Miller, due to the number of innings he’d already pitched? Remember Michael Wacha, who made nine starts total during the regular season but spent most of August in the bullpen — and thus was able to pitch through October as he did? It could happen again with Martinez this year. Kelly also has been a bit more effective in his career when starting as opposed to relieving. He’s made 31 starts and appeared 30 times out the bullpen, with a 3.03 ERA as a starter and 3.25 a reliever. His record is 13-9 as opposed to 2-3 and while he strikes out more as a reliever than as a starter, opponents also have a higher batting average when he comes in from the bullpen. Besides, we know that realistically the rotation will go through its own makeover throughout the season. Sure, we all want the Cardinals to go 162-0 and have every starter throw at least seven innings every game, but that’s not going to happen. Someone, unfortunately and in all likelihood, is going to get hurt. Changes are going to happen. And thankfully the Cardinals have the amount of pitching and the depth of pitching that gives them the opportunity to have such “competitions” in spring training. Can any other team say the same? This entry was posted in 2014 Cardinals and tagged Bullpen, Carlos Martinez, Joe Kelly, Starting rotation by Christine Coleman. Bookmark the permalink.